New Highway Terrain 4WD tyre for city + highway driving. Exceptional performance and comfort on highways. Zig-zag design block pattern for high traction. 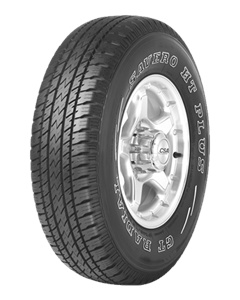 Excellent tread rigidity + handling stability in heavy duty conditions. Double steel belts provide extra tough durability keeping tread firmly in contact with the most challenging roads.